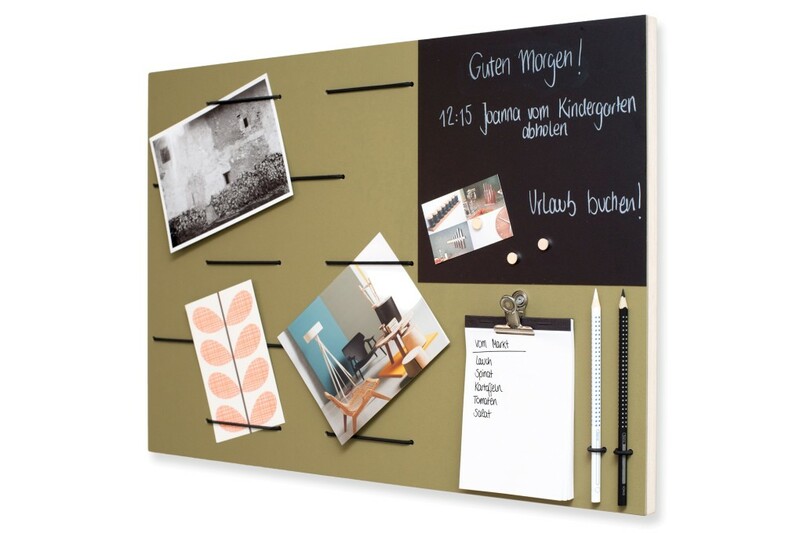 Simply great: this green memoboard lends a helping hand in a crazy family life. 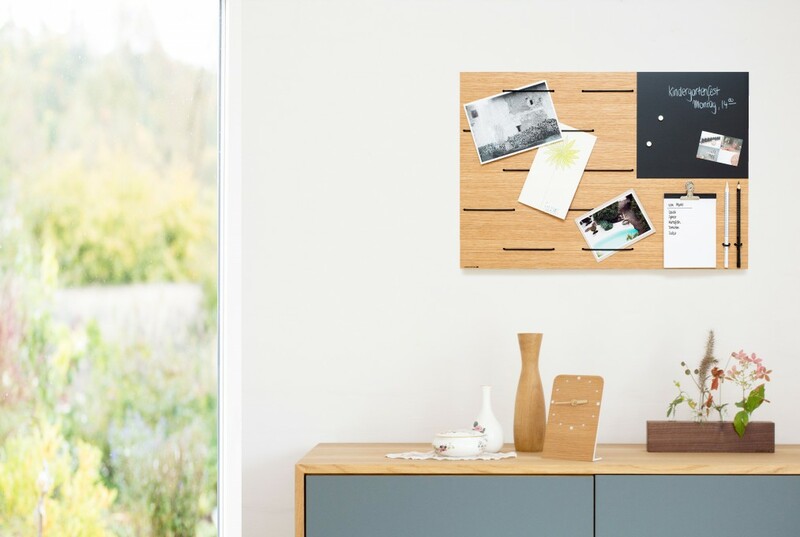 And as an added bonus it makes for a stylish wall decor. 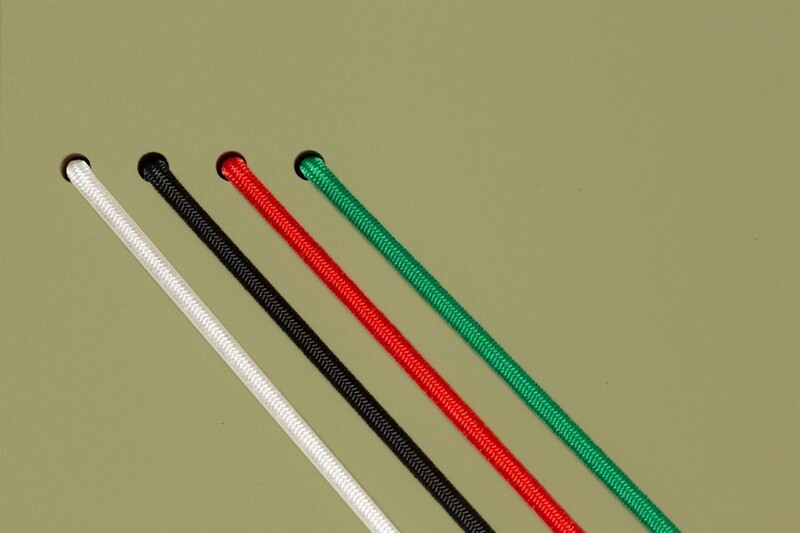 The elastic expander ropes (they come in red, green, white or black) hold your notes, postcards or pictures. 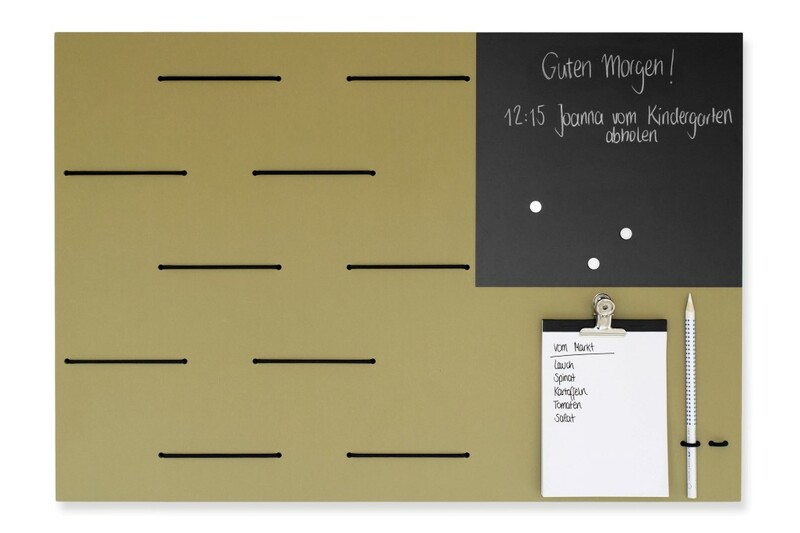 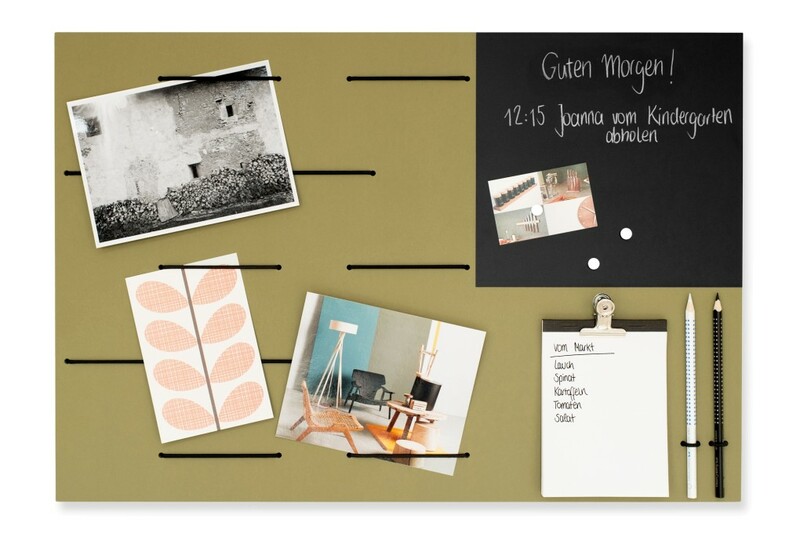 The memoboard features chalkboard contact paper in the top right corner and it also accommodates a slate pencil. 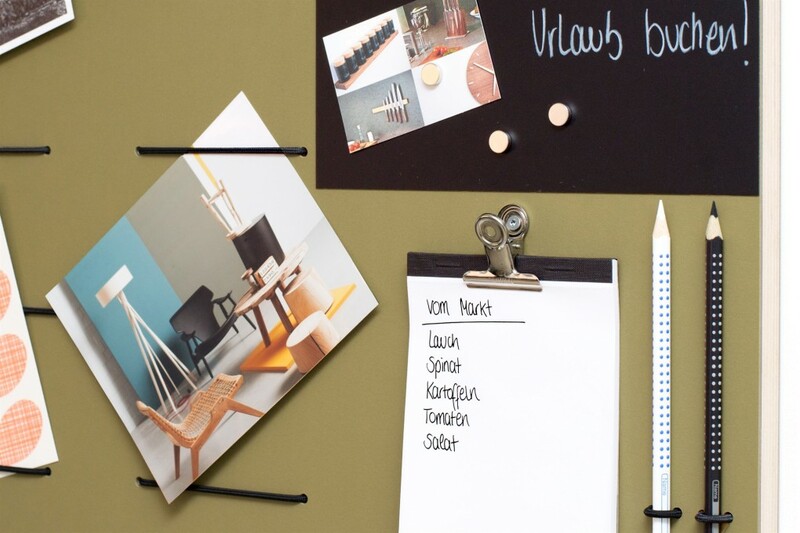 The grip clip holds a small pad for grocery lists and such; beside it you find two mountings for pencils or pens. 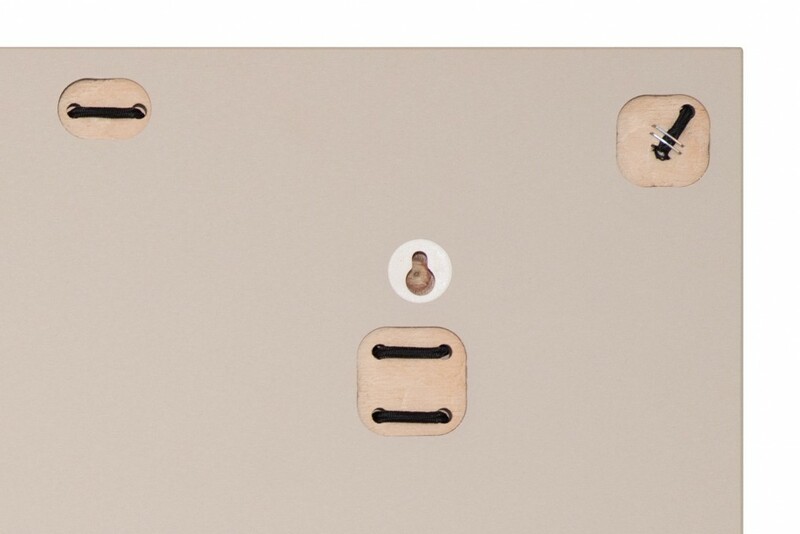 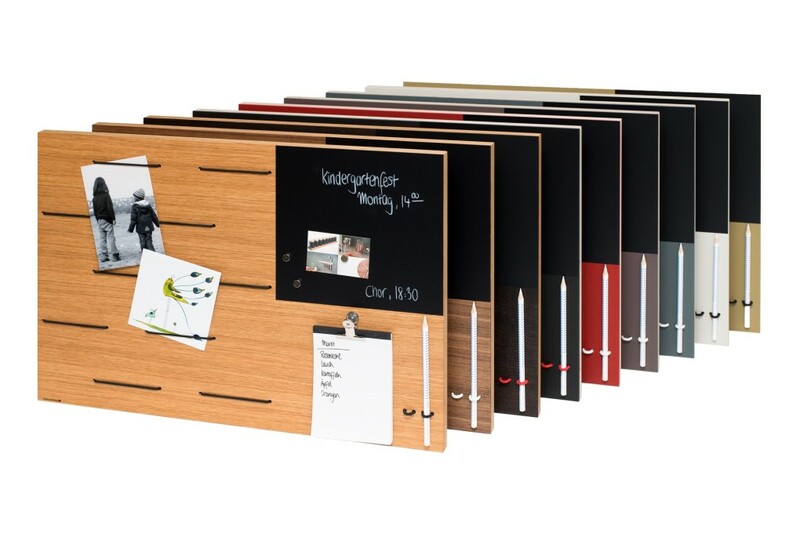 The memoboard is crafted out of multiplex and covered with olive-coloured linoleum.